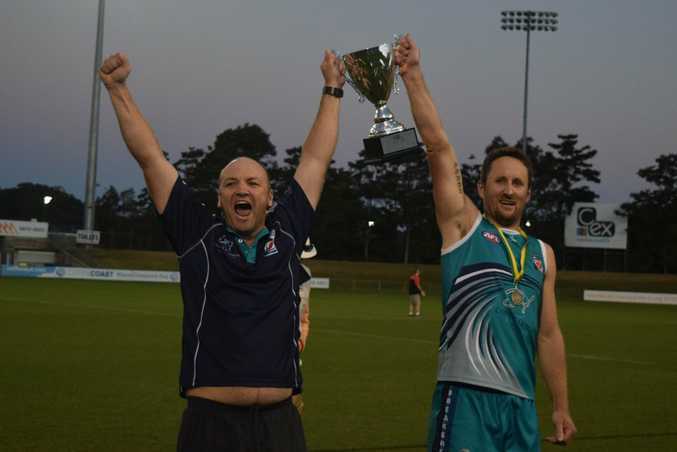 THE Coffs Breakers were too fast for Sawtell/Toormina on the open spaces that the C.ex Coffs International Stadium offers and it propelled them toward the club's first AFL North Coast Premiership. 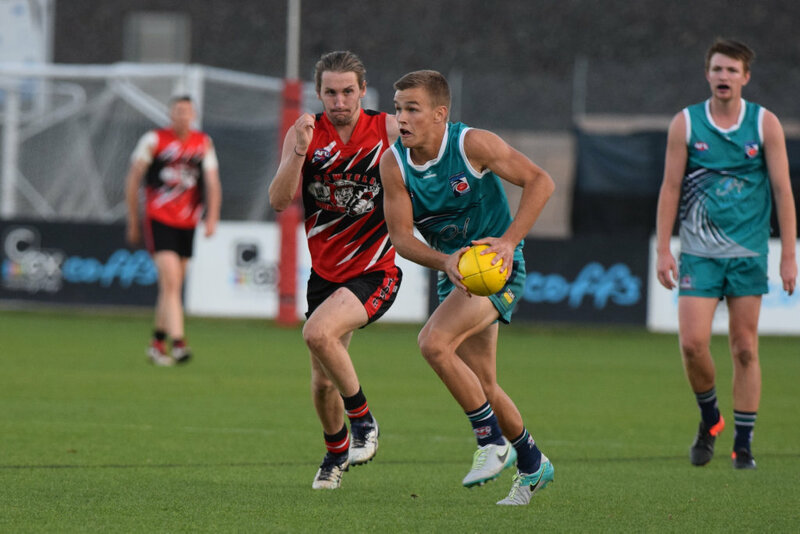 The Breakers jumped out to a 20 point lead at quarter time and as hard as Sawtell/Toormina tried in its bid for a record equalling fourth consecutive premiership, the closest the Saints could get at any stage was 14 points before the Breakers pulled away in the last quarter to win 15.10 (100) to 8.11 (59). The Breakers were dominant in the middle with ruckman Jacob Sincock often giving his teammates first use of the ball and Luke Valdes racking up the possessions. Royce Close was dangerous up forward for the victors kicking three goals including a gem from near the boundary in the third quarter. Youngsters Harrison Parker and Aiden Wallace were placed on the wings for the specific purpose of using their pace when the ball was in space and the move paid off. 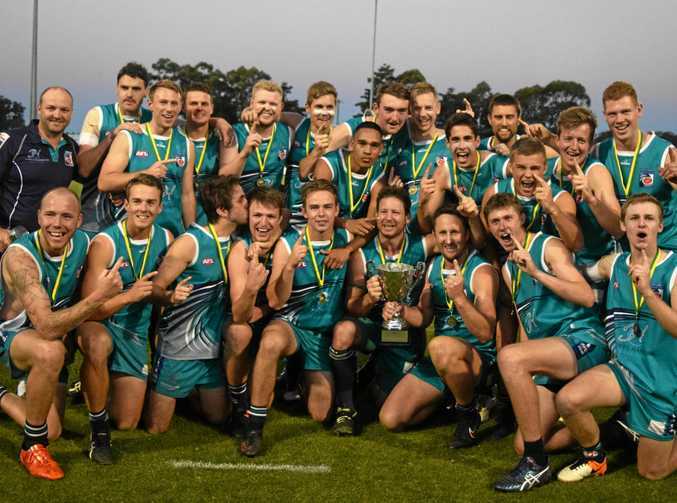 Parker was judged to be the best player on the ground and was awarded the Jim Woodlock Medal after the final siren which signalled emotional scenes. "We wanted to start well. That was our key, if we started well we knew we could go on from there," Breakers captain-coach Nic Von Schill said. "You couldn't fault the start. We definitely won in the middle but I thought our start was really strong. Holding a 23 point lead at the final break there was a sense that if the Breakers kicked the first goal of the final term the floodgates could open and that's how it turned out. 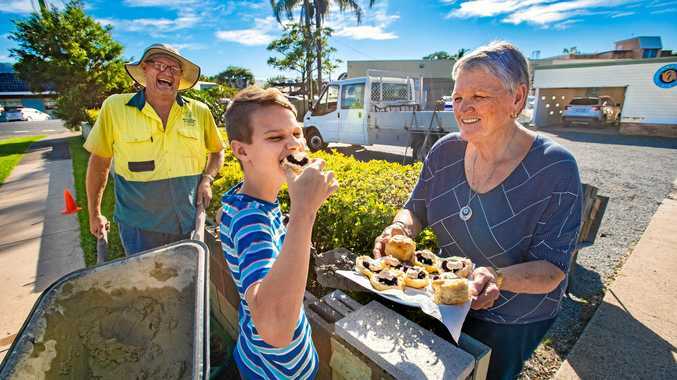 Undisciplined play from Sawtell/Toormina players who could see their premiership hopes quickly faded away saw yellow cards issued, 50 metre penalties measured out and free kicks downfield paid. It all served to see the margin blow out to a 41 point win for the Breakers. Jim Angel has been at the helm of the team during it's string of premierships but he admitted today his team weren't up to the standard of the opposition. "They were on song and at the end of the day we were beaten by a better team," Angel said. "We've had a couple of losses in grand final games before and that makes you enjoy the good times so that's what this will do." Goals - Coffs: L. Valdes 4, R. Close 3, B. Vella 2, F. Duryea 2, J. Sincock, L. Symons, C. Frangos, A. Wallace. Saw: L. Stuart 3, M. Couzens 2, L. Matthews, L. Day, J. Ellis-Cluff. Final address to Breakers in AFL grand final: It's 3/4 time in the AFL North Coast grand final and the Coffs Breakers are within reach of victory. Darren 'Freddy' Funston addresses the players ahead of the final 25 minutes of the season.